Joyce Dombrouski has been with Providence St. Patrick Hospital since April 1995. She joined the team early in her career and had responsibilities for critical care, emergency services and quality. She joined the executive team in 1999 as the Vice President of Marketing and Communications. In 2001, Joyce accepted the leadership position of Vice President of Nursing, later earning the regional role of CNO. In 2011, Joyce was named Chief Acute Services Officer and in 2016, Joyce became the Chief Operating Officer for the Western Montana Service Area of Providence Health & Services. 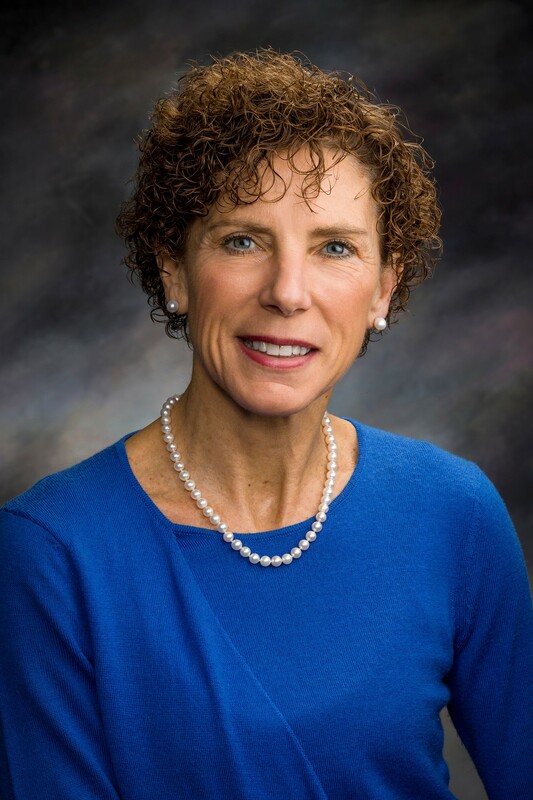 Her current position is the Chief Executive for the Montana Service Area, which includes St. Patrick Hospital in Missoula; Providence St. Joseph Medical Center in Polson; and Providence Medical Group, overseeing approximately 2,500 employees and providers. Joyce holds a Bachelor of Science in Nursing from Montana State University in Bozeman and a Masters in Healthcare Administration from the University of Minnesota in Minneapolis. Joyce earned her Certificate of Public Health through the University of Montana. Most recently, Joyce completed The Healthcare Academy Fellows Program. Joyce was instrumental in leading St. Pat's to earn its first Magnet Accreditation for Nursing Excellence in 2013. She was named Distinguished Nursing Alumni for MSU in 2014. Joyce serves as an adjunct faculty member for Washington State University. Joyce’s current board appointments include the Family Medical Residency of Western Montana, Montana Graduate Medical Education Council; Montana Hospital Association; Montana Economic Partnership and Providence Montana Health Foundation. Her past board memberships include the Montana Board of Nursing, the National Catholic Health Association and Partnership Health Center. Joyce is a native Montanan and lives with her husband in Missoula. She is very proud of both of her daughters who are pursuing careers in health care. Dalton is a first generation and non-traditional student who recently graduated from Helena College and will begin at the University of Montana this fall. In October 2018, Mr. Lozar joined the Federal Reserve Bank of Minneapolis as assistant vice president and outreach executive. Based out of the Bank’s Helena Branch, Casey engages with business, civic and education leaders in Montana and throughout the Federal Reserve’s Ninth District to gather local/regional economic information that is leveraged to inform national monetary policy. He also leads efforts in Montana for the Bank’s key policy areas which include affordable housing, early childhood development and Indian Country economic development. Previously, Mr. Lozar served the State of Montana and the Montana Department of Commerce through a variety of roles that included division administrator, bureau chief, tribal policy advisor and director of the State Tribal Economic Development Commission. His work focused on providing policy solutions, resources and technical assistance for Montana’s economic development organizations, entrepreneurs, innovators, business assistance advisors and Indian Country. Prior to moving back to Montana, Mr. Lozar served as the chief marketing and development officer for the Notah Begay III Foundation, a national Native-American non-profit that addresses Native youth health and leadership development. Additionally, Casey served as the vice president of the American Indian College Fund where he and his team were responsible for raising over $20 million a year for the 37 tribal colleges throughout the country. Mr. Lozar holds a B.A in history from Dartmouth College, a M.Ed. from Harvard University and an MBA from the University of Colorado-Denver. He has completed executive education coursework at MIT, Columbia University and University of California-Berkeley. Past board memberships include: Montana Community Foundation, S&K Technologies, S&K Electronics and Montana Higher Education Student Assistance Corporation. Casey and his wife Reagen have four young children; Leighton, Winn, Mary Mac and Stephen Asher. Born and raised on the Flathead Indian Reservation in Montana, Mr. Lozar is an enrolled member of the Confederated Salish and Kootenai Tribes. Robert (Bob) Nystuen has been a community banker for 42 years. Since 2004 he has been Market President of Glacier Bank, an affiliate of Glacier Bancorp Inc., a publicly traded bank holding company based in Kalispell, Montana. Bob joined Glacier Bank in 1996 after 21 years with First Bank System, now known as US Bank. During Bob’s banking career, he and his family have lived and worked in Havre, Livingston, Bozeman, Miles City, and Kalispell, Montana. 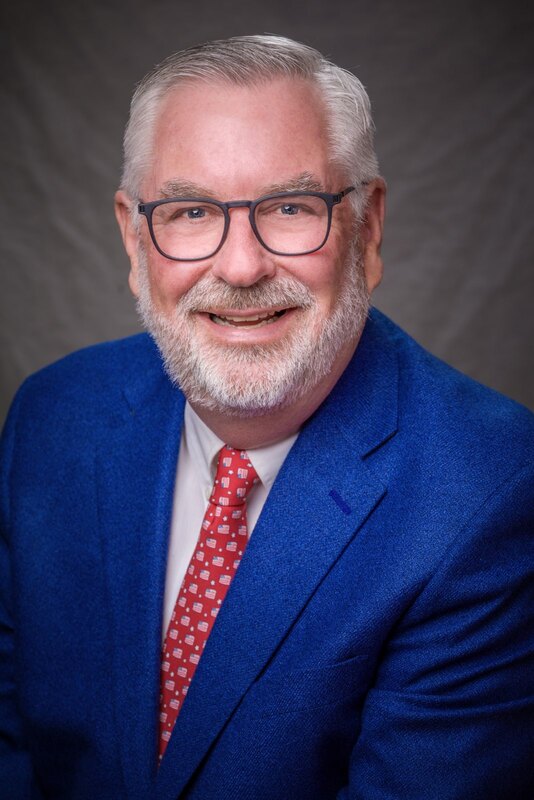 Bob was elected to the Board of Trustees of Flathead Valley Community College in Kalispell, MT in 2002 and he served as the FVCC Board Chair for eight years. Bob has served on the Board of Directors of Glacier National Park Conservancy and the Kalispell Area Chamber of Commerce and was their Board Chair in 2001. He recently concluded terms on the boards of directors of the Montana Ambassadors, Montana West Economic Development and the Montana Commission on Community Service. Bob is a native of North Dakota and attended North Dakota State University in Fargo where he earned a Bachelor of Science Degree in Agricultural Economics in 1975. He then graduated from the Graduate School of Banking at the University of Wisconsin – Madison in 1982. Bob and his wife Kim have been married since 1980 and now live in Lakeside, Montana. They have three sons, Andy of Big Sky, Steven and wife Kristen of Missoula and Carl of Bozeman. Kim and Steve are graduates of the University of Montana. Carl and Andy are graduates of Montana State University in Bozeman. Brianne Rogers has over a decade of political, policy, communications, and management experience, having held director positions in both Washington, D.C. and Bozeman, Montana for Montana’s longest-serving U.S. Senator, Max Baucus, as well as serving as Montana Chief of Staff for U.S. Senator John Walsh. 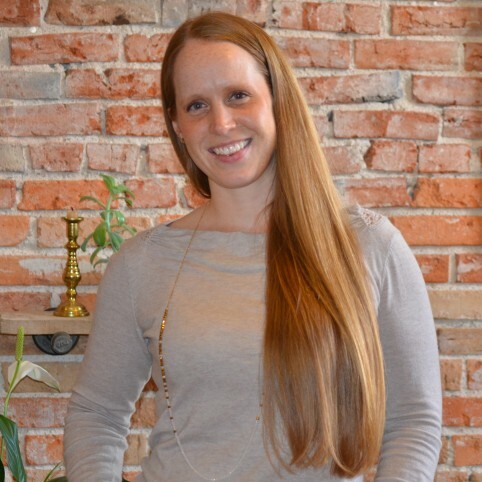 She rocketed into the private sector in 2015, launching her consulting business, Bird Dog Strategies, LLC, and quickly became an essential asset to her clients. Bree is a native Montanan committed to making the state a better place, and known by colleagues across the state for getting things done and building lasting relationships. In 2017 she was Sarah Calhoun’s right-hand woman, helping to produce the most successful Red Ants Pants Music Festival to date with over 16,500 attendees. In 2013, she co-produced Senator Baucus’ Economic Development Summit in Butte, a 4,000-attendee business conference featuring eleven keynote presentations including: Google’s Eric Schmidt, FedEx’s Fred Smith, Tesla Motors’ Elon Musk, Facebook’s Sheryl Sandberg, and Ford’s Alan Mullaly. In 2011, she produced the two-week, 2,500-attendee Asia-Pacific Economic Cooperation Second Senior Officials Meeting in Big Sky, Montana in conjunction with the U.S. Departments of State, Commerce, and the Office of the U.S. Trade Representative. Bree spends her free time enjoying Montana’s great outdoors. You’ll find her chasing upland birds and waterfowl hunting with her father year-round. She lives in Bozeman with her two black labs, Scully and Foxx. Martha Sheehy is a Billings-based attorney who earned undergraduate and law degrees from the University of Montana in 1985 and 1988, respectively. She has served as president of the State Bar of Montana, on numerous state and federal justice committees and a number of social services boards. Sheehy graduated from UM in 1985 with a bachelor's degree in history with honors and from UM Law School in 1988 as first in her class. She has practiced law in Billings since 1988, the last 15 years at her own Sheehy Law Firm. She has had a focus on constitutional law, contract issues, insurance law and media law, including representing the Billings Gazette and Bozeman, Chronicle in right-to-know cases. She also served on the boards of the Billings YMCA and Youth Dynamics. Paul Tuss serves as the Executive Director of Bear Paw Development Corporation in Havre, a federally-recognized, nonprofit Economic Development District in northern Montana that covers 17,665 square miles, five counties and two Indian Reservations with a total population of approximately 35,000 residents. He previously worked for five years as the Executive Director of Glacier County’s economic development organization, an area that includes Glacier National Park and the Blackfeet Indian Nation. 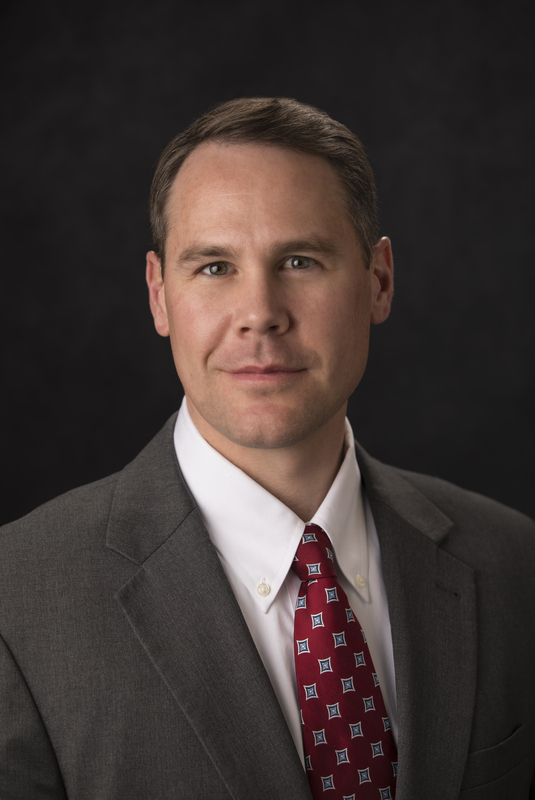 He is Past President of the Montana Economic Developers Association, Past Chairman of the Montana State Employers Council and is a member of the Montana Economic Development Advisory Council and Judicial Nomination Commission. He serves as a member of the Board of Directors for the Montana Nonprofit Association, Montana Cooperative Development Center and Northern Montana Hospital. Paul previously held gubernatorial appointments to the Tourism Advisory Council and the Montana Heritage Commission. Prior to his appointment as a member of the Board of Regents, Paul served as a member of the President’s Advisory Council for the University of Montana and as an Advisory Board member for the Bureau of Business and Economic Research at the University of Montana. He served as a member of the Cabinet for the MSU-Northern Foundation’s Capital Campaign and was a member of the Presidential Search Committee for Montana State University that resulted in Dr. Waded Cruzado becoming President of MSU. Paul has served as Aide to the Speaker of the Montana House of Representatives, Assistant Secretary of the Montana Senate and was a candidate in 2000 for Montana Secretary of State. A native of Anaconda, he is a graduate of the University of Montana, is married to Pamela Hillery and has two children, Dolan and Caroline.